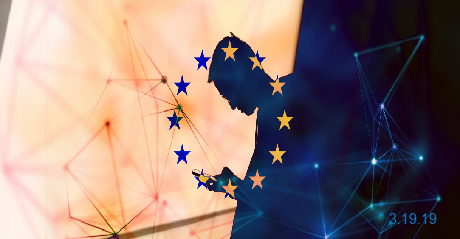 Third-party advertising technology (ad tech) trackers from 112 companies were found on 89% of official government websites of EU member states by Cookiebot, a cookie, and online tracking consent solution, after scanning 184,683 pages. EU government websites do not use advertising revenue for funding and are the ones that should provide an example to all other organizations and companies with an online presence on how GDPR's regulations should be upheld. Despite this, ad tech trackers have found their way in, infiltrating with the help of third-party plugins used to provide various features "such as video players, social sharing widgets, web analytics, galleries, and comments sections." Another category of websites that should not contain any type of ad tech tracker is public health service websites which process sensitive information about their visitors' health condition, a "special category data that is carefully protected under Article 9 of the GDPR." To put things into perspective, as unearthed by Cookiebot "21 different companies were monitoring a single French webpage about abortion" and "63 companies were monitoring a single German webpage about maternity leave." Cookiebot found [.PDF] that 112 companies are currently tracking EU citizens across all the websites it checked for ad trackers, sending the collected data to 131 third-party tracking domains. Eliot Bendinelli, Lead Technologist, Data Exploitation Programme for Privacy International said that "Whether this is intentional or not, the fact that such a great number of member states' websites include trackers should be a wake-up call for governments and regulators to investigate and take action against the AdTech industry." To make things even worse, 10 of the ad tech companies tracking EU citizens also actively mask their identity, with their websites not being "hosted at their tracking domains, and their domain ownership (WHOIS) records are hidden by domain privacy services." Facebook, for instance, while not trying to mask its activity, still uses "anti-tracking countermeasures to track citizens who use Safari 11’s intelligent tracking prevention" on Irish and UK health landing pages with information regarding HIV and mental illness. Out of all ad tech trackers, Google owns three—YouTube.com, DoubleClick.net, and Google.com—out of the top five trackers found on EU government websites and bot top two trackers discovered on health service sites. What's more, the Google Analytics platform trackers are not taken into account. With the top trackers, Google is able to trace "website visits to 82% of the EU’s main government websites," as well as "to 43% of the scanned health service landing pages."